This book teaches readers to stop turning to potentially harmful prescription and over-the-counter medicines to ease whatever ails them, and to turn instead to Mother Nature for safe, natural and effective remedies to relieve troublesome health conditions. 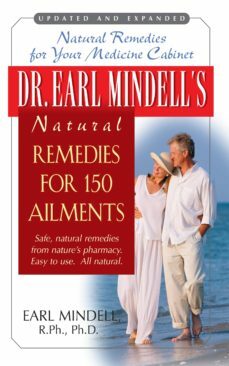 Dr. Earl Mindell shows how to use nutritional and herbal supplements to treat common ailments, both large and small. From Allergies to Vertigo, Arthritis to Weight Loss, Dr. Mindells favorite time-tested recipes for treatment will help readers live a healthy and pain-free life.